The Learning Hospital at UCH Education Centre provides clinical programmes, simulation technology and behavioural training. The new Learning Hospital - comprising a range of innovative clinical training suites for behavioural learning at the The UCH Education Centre - combines state-of-the-art simulation technology and progressive teaching to meet the needs of today's hospitals and Primary Care Organisations. We offer broad scope for healthcare professionals of all ranks and disciplines to learn and practise a variety of clinical skills, from routine nursing observation to leading-edge minimal access surgery. Click on each link for more details of our clinical training services, or visit the Bookings & Room Hire page to enquire about programmes, prices and availability. 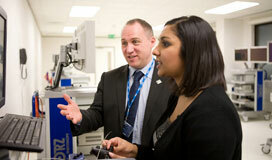 Added to this unique collection of training resources, The Learning Hospital runs a series of masterclasses giving clinicians the opportunity to share expertise with colleagues and students through live demonstrations. 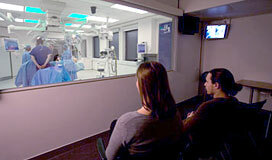 Procedures are performed in UCH-s well-equipped operating theatres with live audio-visual feeds beamed direct to observers in The Learning Hospital-s seminar rooms, or, where appropriate, the minimal access surgery training suite. 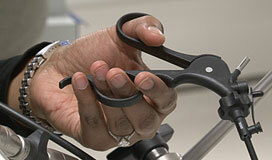 Whatever your training needs, The Learning Hospital is designed to maximise the benefits of your time and investment. of an unmet need: many of today's incremental improvements in healthcare interventions are on the micro scale - targets, guidelines, benchmarks, protocols, policies and committees etc - but in fact the real difference in delivering an enhanced patient experience comes when you engage at the macro level."